The growing disparity in the quality of education between elite schools for the well to do and the public schools that have suffered for decades from under-funding and general corruption. The need for students to have a voice in shaping general education policies as well as those within their schools. Student government has been either non-existent or merely ceremonial during the Mubark era. The presenters put forth a number of ideas to start building some sort of cohesion among students from different schools and to get them to start working together. They had a range of activities around sports and talent development. They posed questions for audience about how structure themselves and to get things moving. They were concerned about getting the balance right between getting not being top heavy or dictatorial while fostering a unity of purpose and objective. It was clear to me that the issues of organization and trying address complex problems at the grass roots is something that Egypt as whole in struggling with in rediscovering its route to democracy. Seeing young students trying with a great deal of passion and enthusiasm to work those issues out confirms to me that this land will never be the same. Did you hear them in Tahrir, calling your name? Where were you? did you call their sit-in so very lame? But what have you done to ease their pain? A prisoner to fear, do you want forever to remain? We never will one day, to oppression, be tame. Breakdown of trust, loss of faith, desperation, aggression, hope beyond reason, shock, pain, poss, suffering, and confusion. I was assaulted by a multitude of feeling as I was walking through Tahrir on the afternoon of June the 29th. I missed out on the battle of that raged during the night between the families of the martyrs and their supporters and the central security forces (CSF), who seemed engaged in taking out vengeance against the protesters. They CSF wanted to engage in petty payback for the setback in suffered exactly five months earlier. The video below details what has been going on. The battle raged for over ten hours with plenty of rock throwing, teargas, rubber bullets, and Molotov cocktails. Over one thousand protester were injured during the confrontations. The protesters were determined not the let the CSF have the upper hand. The would allow the CSF scoring a victory over their ability to sit-in or express their grievances. For some background read this article from Time magazine, or the insightful perspective by the accomplished Egyptian writer Ahdaf Soueif. Official media in Egypt started to describe the protesters as thugs, agents of foreign powers, and even wilder conspiracies. I was in Tahrir June 28th I didn’t go for a specific demand, I was just driven by anger that the Central Security Forces are still treating protesters with same brutality as before. I didn’t see any thugs, and when I came home and watch TV I kept wondering “Am I a thug ? Are we destroying the country unconsciously? Egypt on TV is so different than Egypt on Facebook than Egypt on Twitter Than Egypt on the street. Information is so contradicting that it gets me to wonder if this was all wrong from the beginning! Or if our problem is deeper than a economical and political issues, a problem been forged in generations of cultural pollution and educational corruption, A problem that needs some sort or metaphysical higher power to do the solution for us, Should we forsake science and analysis because the problem is too hard to solve ? I need your immediate opinion before I lose my mind! I understand your confusion. Your situation must be aggravated by many of your friends and family casting doubt on your actions and portraying it in a totally different light. The statement lets concentrate on X, is very silly and fallacious. It might work for one person. If X=economy and I was an economist, I would clearly know where my focus is. But if I was a student, what would “lets concentrate on the economy” mean (other than switching major)? It is quite absurd to suggest to a mother of a martyr that she should now concentrate on the economy, election, the constitution or whatever. I follow a certain principle when trying to examine my actions. It can be expressed as follows “noble motives may give rise noble outcomes, but petty and base motives will almost certainly give rise to disastrous outcomes”. For me (and some might disagree), pure anger or hate is quite negative and pretty evil things can arise from them. However, if you were mainly in Tahrir to defend the families of the martyrs and fight against brutality, lies, and falsehood. That is pretty noble, that is something worthy dying for. The intention or motive is sometimes more important that the action itself. 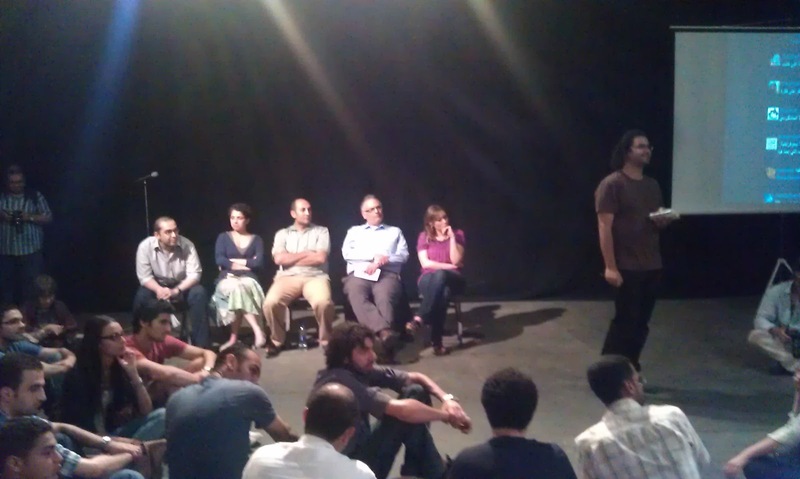 I did not go out on June 28th (I really wanted to, but couldn’t), by many of my old Tahrir friends did. I respect and admire them for it, knowing what drove them to be there and their motives. We seem to be losing on all those areas. If we can not satisfy those prerequisites we are are building a new Egypt based on lies and falsehood. It will be nothing more than the old rotten Egypt with a few label changes. The question regarding how do we realize those prerequisites is not a easy one to answer, and would require a lengthy discussion. Certainly we could use as much divine help as possible, but divine help only makes itself manifest when we purify ourselves and our intentions. However a few things are certain and clear. When the families of the martyrs are ill treated or attacked, this is a clear travesty of justice and requires a serious stand and a loud response. When the police is brutal with your friends, you don’t abandon them for the comfort of your bed, but stand beside them and support them with your utmost ability. That is the decent thing to do. Finally, we should never forsake science or analysis. We should try to use our knowledge to the best of our abilities. However, when doing so it is important to remind ourselves of the limitations of our analysis and the extent of there usefulness. It is my view that sometimes it is better to simply stand for what you believe in and what your heart dictates than to engage in a calculus of power analysis. That is in some way a rational choice. For even when the odds seem stacked up against you and your loss seems certain, you make a clear choice that you prefer death, imprisonment, or injury than to live a life of fear,tyranny and oppression. إستمتعت بلقاء الطيور الثانى و إن كان قد اختلف فى المزاق عند اللقاء الأول. و هنا أود ان اوضح ان هذه اللقاءات فى رأيى ما هى الا محاولات لإستحضار حالة فكرية او استلهام روح معينة أحسسنا بها فى الميدان و ليس الهدف منها خلق توافق بشكل مباشر و الإتفاق على خطوات واضحة للتحرك الثورى او السياسى. هذه اللقاءات هى فرصة لتنشيط الوعى الجمعى و تحفيزه و ليس توجيهه بصورة مباشرة فى اى إتجاه. و يقوم بإدارة هذه العلمية علاء عبد الفتاح بقدر عال من الحرفية ممزوجة بالديكاتورية المحمودة. المظاهرات الحاشدة ضد حرب العراق فى 20 مارس 2005 و الإحتكاك بقوات الأمن فى ذلك الوقت كانت اول تجربة عملية لكسر حاجز الخوف و إكشفت فيها الجماهير ان وجودها بكثافة يفقد الجهاز القمعى هيبته و انهم قادرون على “إمتلاك الشارع” و هذا بالرغم من ان قوات الأمن قامت بإعتقال ما يقرب من 2000 متظاهر فى ذلك الوقت. الإنترنت لعبت دور مهم فى تنظيم النشطاء حتى قبل ظهور الشبكات الإجتماعية. التعاون بين اليسار و الإخوان بدء فى الجامعات منذ 2005 و كان ضد سيطرة امن الدولة على الإنتخبات الطلابية. لعب الإعلام الحر (مثل قناة الجزيرة) دور مهم فى إلقاء الضوء على أحداث تم فيها كسر المحرمات السياسية، مثل المنادة بإسقاط النظام و تدمير صور حسنى مبارك فى المظاهرات العمالية. نظاهرات المحلة فى فبراير 2008 و القمع الأمنى و شجاعة العمال فى ذلك الوقت جعلت وائل خليل و حسام الحملاوي مؤمنون بحتمية سقوط النظام. يتفق النشطاء ان المظاهرات و الإحتجاجات قبل 2011 كانت لها دور مهم فى التمهيد للثورة. كثيرمن الحضور شعروا انهم لم تتاح لهم الفرصة لإبداء آراءهم و لهذا يجب ان نفكر فى ألية لجعل مشاركة الحضور اوسع فى الندوات القادمة و سوف اقوم بعمل تدوينة عن بعض الأفكار فى هذا المجال.